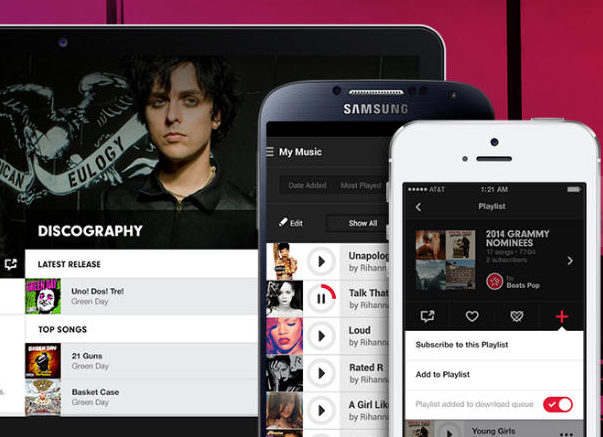 What do you want to bet Beats Music is going to see its subscribers increase significantly in the near future? 9to5Mac points out that Apple has started featuring the Beats Music app prominently in “Apple Apps” popup window new users get when they first log into the App Store, alongside such iOS staples as Pages, GarageBand and Find My iPhone. This is the first indication we’ve seen that Apple is going to start aggressively promoting Beats’ music streaming service to its users, who can download the app onto their device easily when they click the “Download All” option on the Apple Apps popup window. Leaked documents from earlier this year showed that Beats Music had only 111,000 paying subscribers at the end of March, which needless to say puts it far, far, far behind other popular music streaming services. We’re sure the service has made some healthy gains after Beats got acquired by Apple but being promoted more heavily by the company and making it easy for its millions of users to download should only help even more, although it’s still unlikely to match the huge monthly user numbers posted by Pandora and Spotify anytime soon.